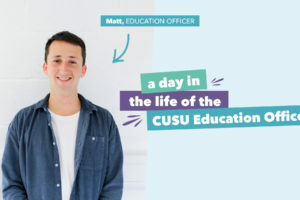 Welcome to a behind the scenes look at what life’s like working in CUSU and details on everything I’ve been doing this year! I don’t have high hopes for my writing actually being good, but I hope this will at least be informative. For my first blog, I’m gonna contemplate the term ahead – what are my priorities and plans? My list of things to work on is long and getting longer, and I imagine Evie will take up the baton on some things. To start with what sounds like the most boring priority – handover is actually incredibly important. It’s a well-known issue in students’ unions that the kinds of changes we want to make do take longer than a year. 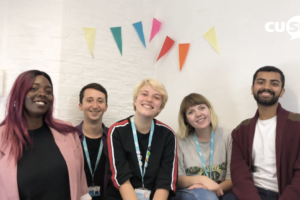 Evie and the new team will arrive in the office on July 2nd for a packed 2 weeks with us before the outgoing sabb team leave office. I’m planning sessions on CUSU finances, the strike, committees, colleges, and everything in between. The dream is for Evie to be able to learn from my year and basically hit the ground running. The beginning of this term is odd for me, because although the opportunities of a whole term are ahead of me, it is the last term and everything feels like it has a limit. On top of this, most students will be fairly occupied with exams. Intermission: my year’s work on intermission has led up to the first ever Intermission Forum which is happening next week (🎉), with Senior Tutors, the University Counselling Service, Disability Resource Centre and testimony from intermitting students. The aim is to dig into the continuing very real issues with the process, and share best practice amongst colleges. It’s taken a while to get this all together, but I am so happy that this will provide real foundations for the next sabb team to build more work on. Prevent: trying to tackle the insidious prevent duty has also been a big focus this year. I have been involved with trying to change the training the University uses and trying to make the University see the negative impacts the implementation of the duty is having, especially to Muslim students. Lola and I have created a feedback form, we will be using the feedback from this to inform the University Prevent committee taking place this term: www.surveymonkey.co.uk/r/cusuprevent.The most powerful tool we have in these meetings is your testimonials and evidence! Divestment: as a University Council member and as CUSU President, I have been trying to push the University to Divest from fossil fuels. I believe that it is the right decision for the future of the University and the planet. I’ll continue to be working alongside the university and student groups to ensure this issue is listened to and taken seriously. Living Wage: getting the Uni to pay the Living Wage has definitely been a highlight of my year, and I hope we can move this on to colleges. Most student activists will probably start on this next term, but I will be coordinating the data and strategy this term! 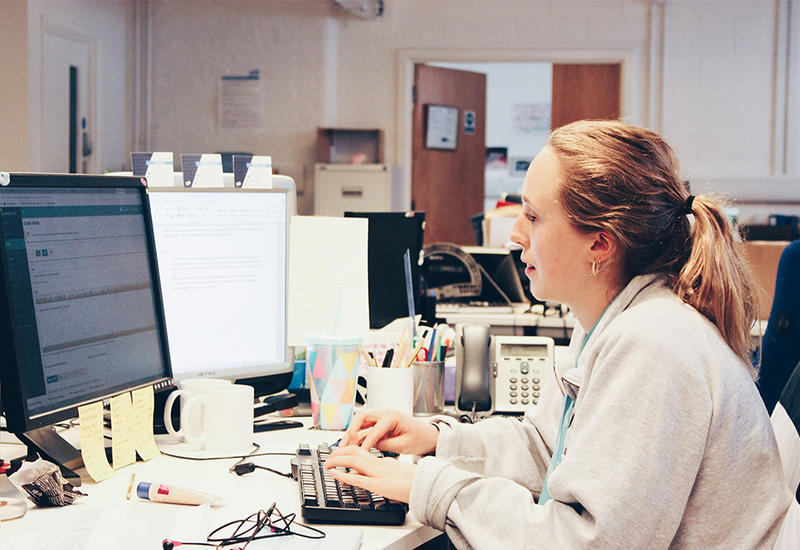 Workload: I see workload as one of the biggest issues facing Cambridge students and in CUSU, we have been pushing the University to take action all year. When Big Cambridge Survey responses say that only 44% of undergraduates find their workload healthy and manageable (on a tangent, fill out the BCS here: www.surveymonkey.co.uk/r/DaisyBCS), there is clearly a massive situation. I was planning on doing something major on this last term, but the small issue of the strikes (when I say small, I should say the biggest HE strikes in the last 50 years) prevented me from getting my teeth stuck in. 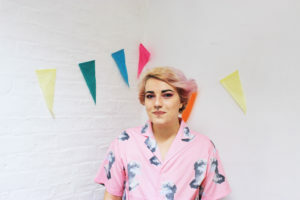 Now, I’m happy to say the University has listened and we will be working with them on a strategy on workload this term – I imagine this will be a big topic for Evie next year, but I’m so happy to see the ball rolling! All in all there is always a lot going on at CUSU and now is no different. I hope this has given you a brief insight into the life thought processes and plan of the CUSU President. If you have any thought or ideas of where you think this should go next please do let me know. But for now, I’ve got stuff 2 do. My plans for future blogs include: expectations v reality of CUSU, highlights of the year, reviewing my manifesto and much more!